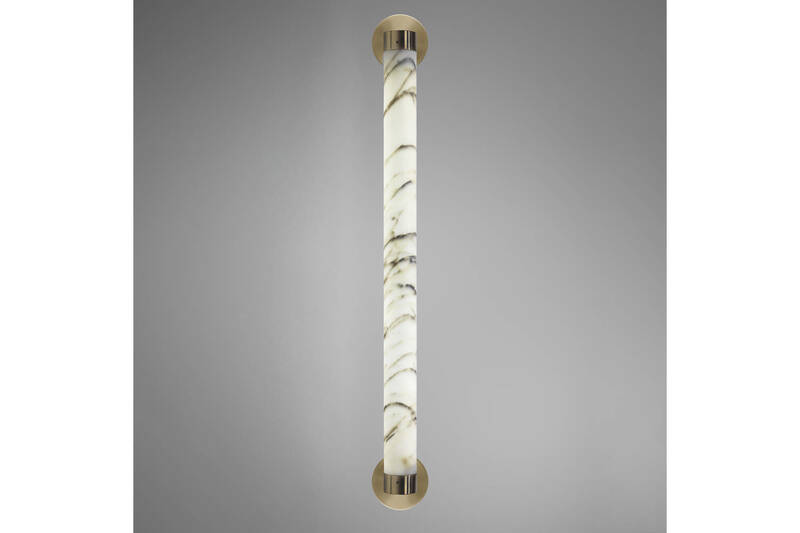 Skillfully milled from a single piece of Carrara marble and finished at each end with bands of brushed brass, Tube contains a strip of LED bulbs resulting in what appears to be a solid length of warm glowing stone. The unique veins of each piece of marble mean no two lights are exactly the same. A handcrafted twist on the traditional fluorescent tubelight.